Ok, if you have read the first book, this book will offer quite a lot of repetition of events from book#1 but those who did not read it, let it not mean you can skip book 1. This book sees Zoye , trying to handle friends , her responsibilities as the leader of the dark daughters and son, her new boyfriend Erik , her ex-boyfriend Heath [ and a human ] , her super hot teacher [ as described in the book , and he writes haiku !! I love this one ;) ] , and the high priestess ! Do i even write any more ? This is a thick plot which is served well with some very memorable moments - few of the scenes between Aphrodite & Zoye ; Heath's vulnerability at his friend's death ; Zoye's confession about Heath to Erik ... very honest and heartfelt writing there. You feel not just for Zoye alone but for all those related to her ! And that for me is remarkable about this book. This book does not take the story further but instead sets a baseline for the next part. And I am too eager to do that ! Fledgling vampyre Zoey Redbird has managed to settle in at the House of Night finishing school. She finally feels like she belongs, even gets chosen as the Leader of the Dark Daughters. Best of all, she actually has a boyfriend… or two. Then the unthinkable happens: Human teenagers are being killed, and all the evidence points to the House of Night. While danger stalks the humans from Zoey’s old life, she begins to realize that the very powers that make her so unique might also threaten those she loves. 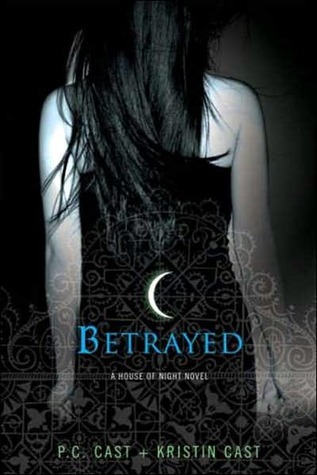 Then when she needs her new friends the most, death strikes the House of Night, and Zoey must find the courage to face a betrayal that could break her heart, her soul, and jeopardize the very fabric of her world. Read the review of Marked - book #1 of the series here done by MSM. okay the series is getting interesting. u sure its not like one of those vampire diaries stuff? i have not read vampire diaries ,, so i can not tell .. did you hear what i sent you by email ?? the two chapters in audio !